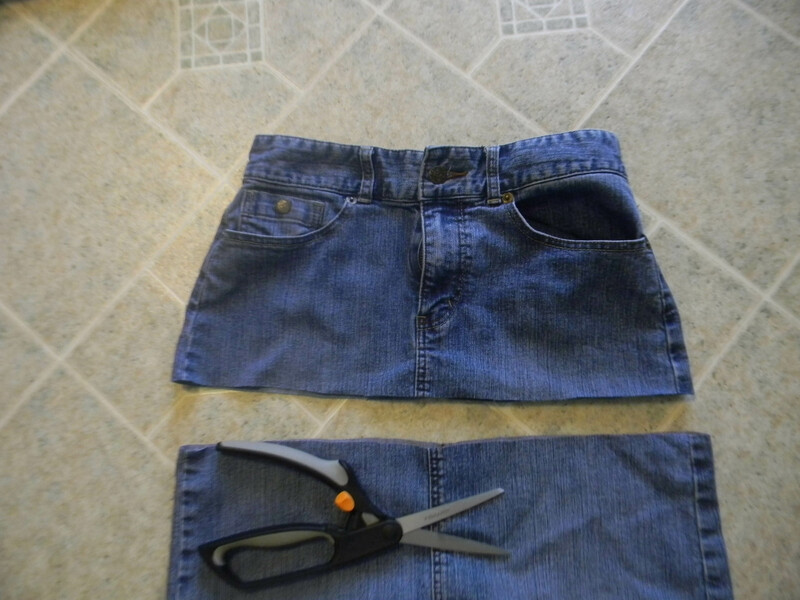 Do you have a skirt that is a little too short or doesn’t fit quite right. Then its time for a make over. I literally made this skirt in about an hour before I went to fellowship with some sweet ladies today. I had a skirt that was too short and a 2 yard piece of fabric that I couldn’t use for a project I wanted to sew. 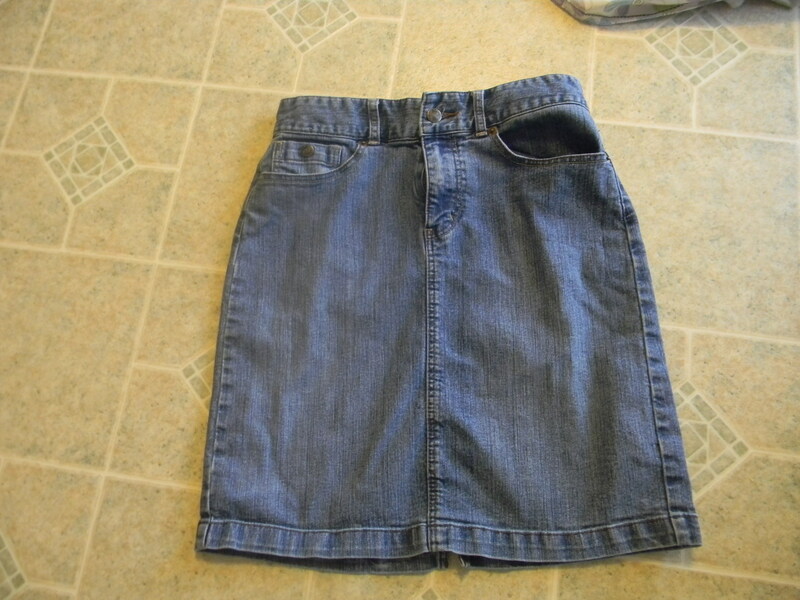 I remembered years ago when these types of skirts were “in” and decided to make one again. The piece of fabric I had was 2 yards long and 45″ wide. 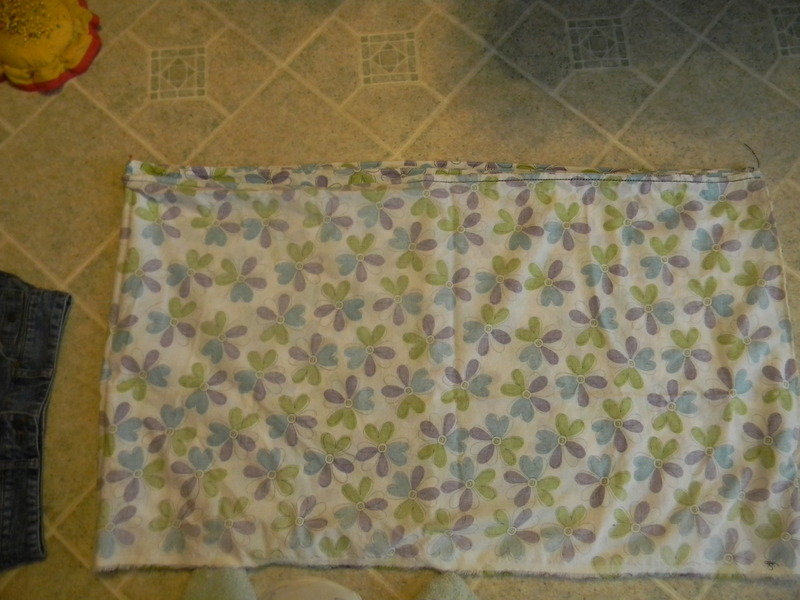 The first thing I did was tear the fabric the long way so I ended up with two pieces of fabric 2 yards long by 22 1/2″ wide. You can do this by folding the fabric in half, mark the fold, take a nip with your scissors and then tear where you have nipped. This will give you a perfect “cut”. The only other way you could get a perfect cut is by using a rotary cutter. I wanted to do this skirt in a hurry so I just ripped. I sewed the two pieces together to make a tube. 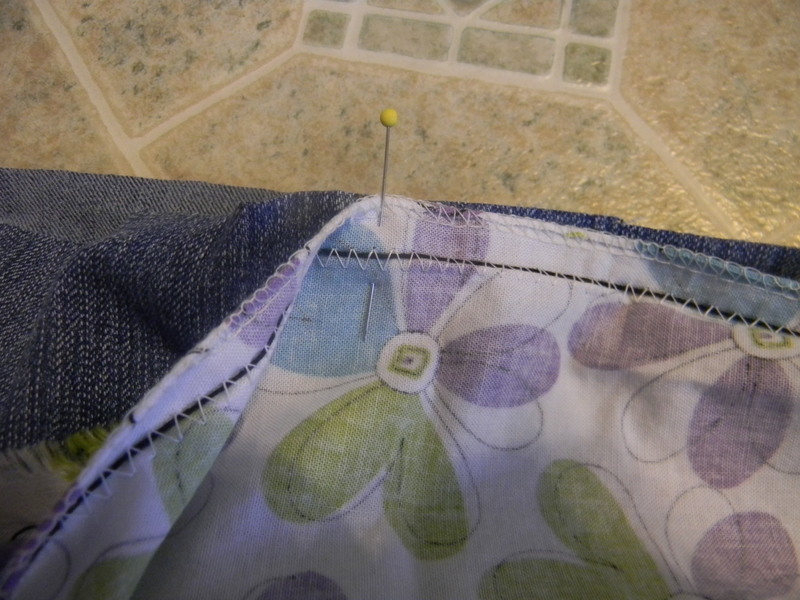 I then surged the seams and the top where I was going to gather the skirt. I didn’t serge the bottom hem because I wasn’t sure how long I wanted it. 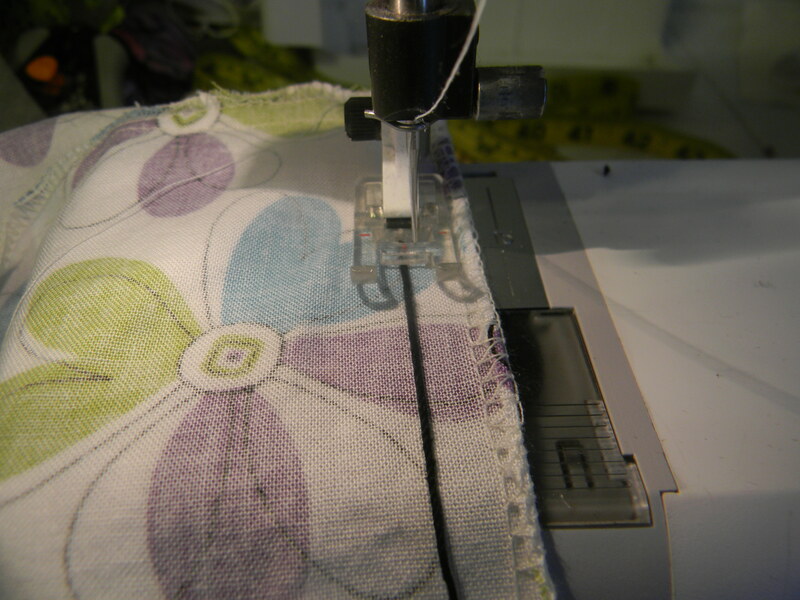 If you don’t have a serger you can zigzag the seams. Next it was time to gather the skirt. 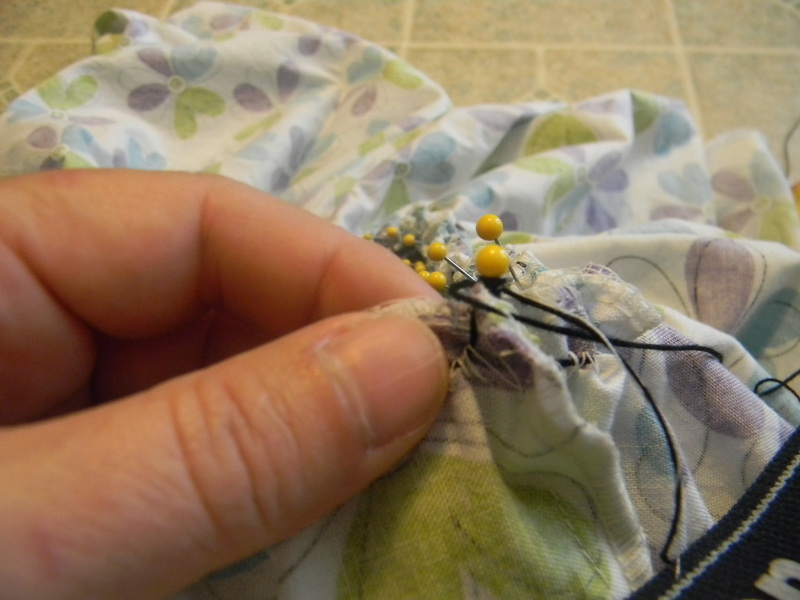 The easiest way to do this is to zigzag a piece of cord or crochet thread (which I have plenty of) across the top where you are going to gather. I use a wide zigzag so that I don’t accidentally catch the cord. I start at one seam and zigzag all the way around ending up where I started. I then layed out the skirt to see where I wanted to cut it off. Check the back pockets to make sure you have a 5/8″ seam allowance below the pockets. Marking 1″ below the pockets would be preferable. I just eyeballed my cut but you could measure and mark with a pen. Now you will want to either surge or zigzag the cut edge. The next step was to mark the middle of each fabric piece front and back so I could line up these marks with the front seam and back seam on the skirt. 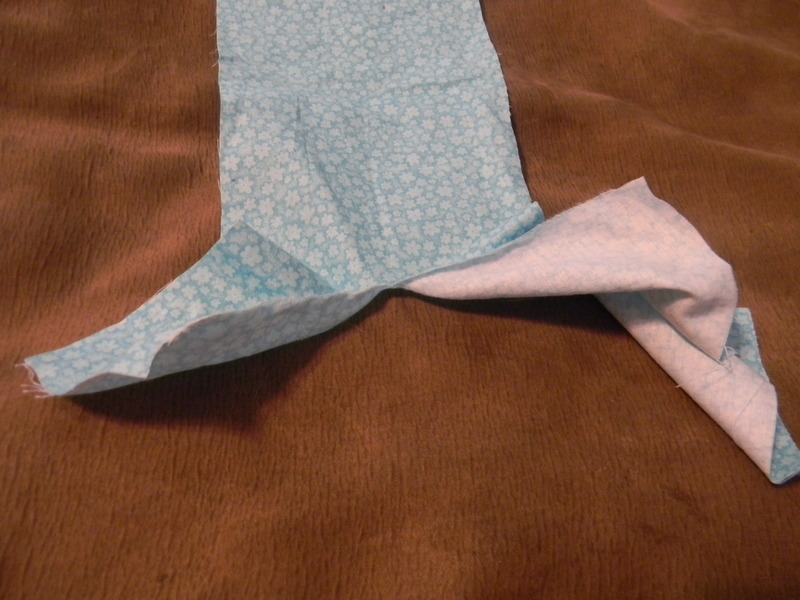 I did this by laying out the piece flat with the side seam on the right and left. 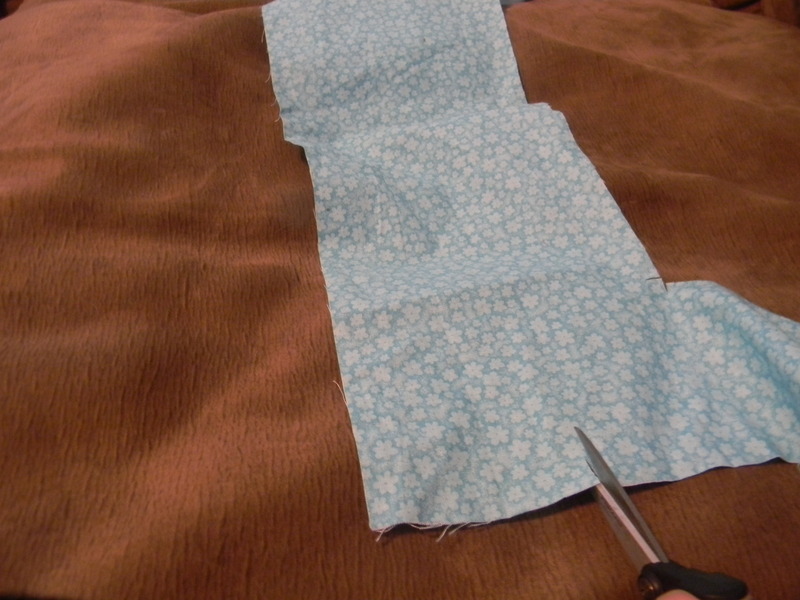 I then folded the piece in half and marked the folds with pins. 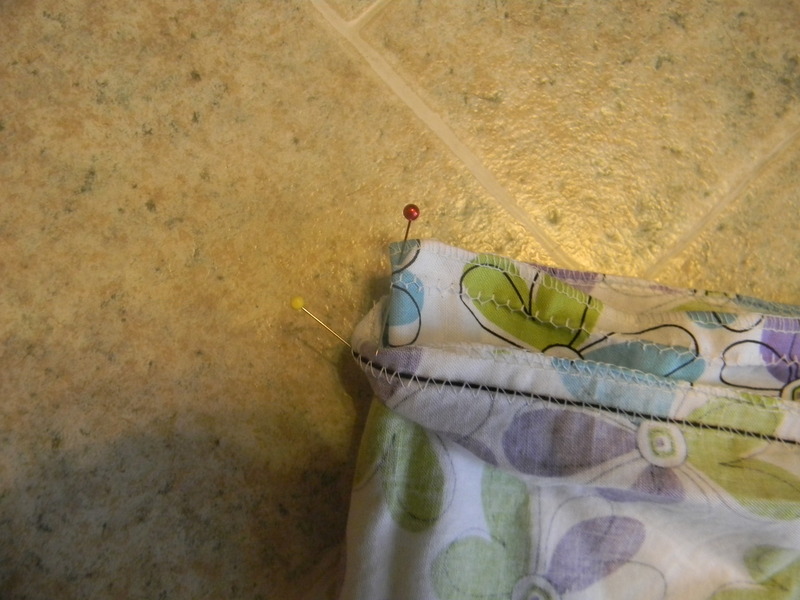 I then line up these pins with the front and back seams and then pin the side seams with the side seams of the skirt. Then I pulled the cord to gather the fabric. When the fabric was gathered I wrapped the cord around the pins so that the gathering did not come out while I was pinning. Next pin, pin and pin. When I thought I had enough pins I put another one in. This helped the gathers to stay in place while sewing. I made sure while I was pinning that the top of all the gathering had not folded behind. 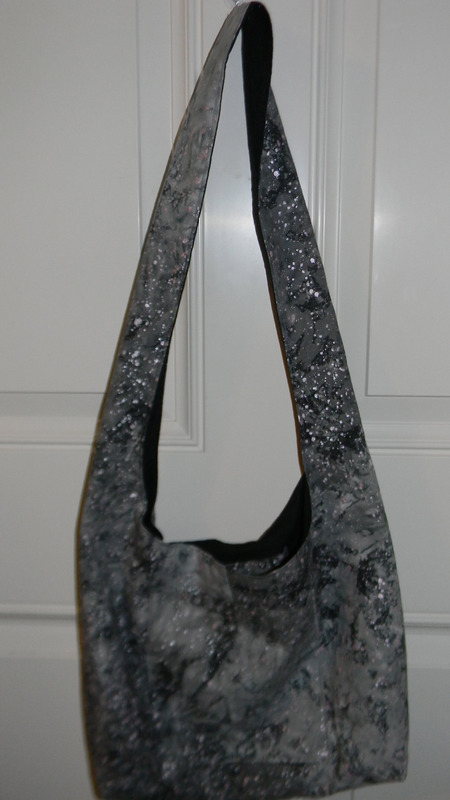 Then it was time to take it to the sewing machine and sew. I took my time while sewing and made sure the skirt underneath stayed flat. 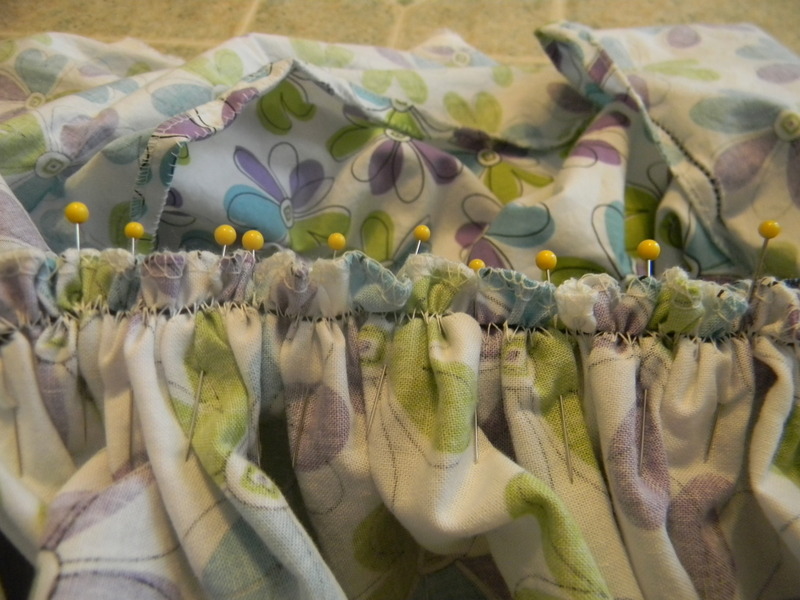 I also placed my hand flat on the gathers to keep them straight while sewing. When this is was all finished I then tried it on to see how long I wanted it. I surged about 1″ off the bottom of mine and then hemmed. 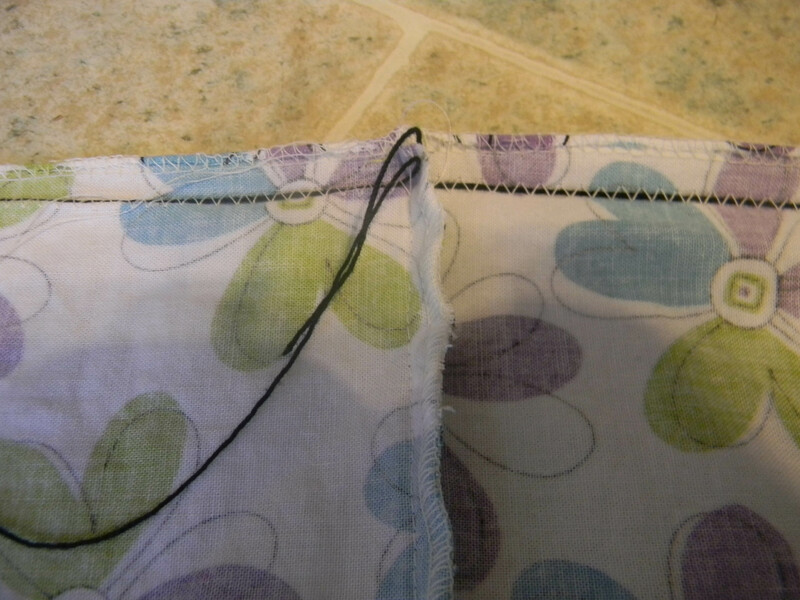 I am short so dividing a piece of fabric in 1/2 was fine for me. If you are taller and still want a longer skirt you may want to purchase more fabric and not divide in half. This skirt is pretty full and I could have used 1 1/2 yards. I you are doing a child’s skirt you can use much less fabric, maybe a yard. This is a fun skirt to play around with and I hope you enjoy making one. 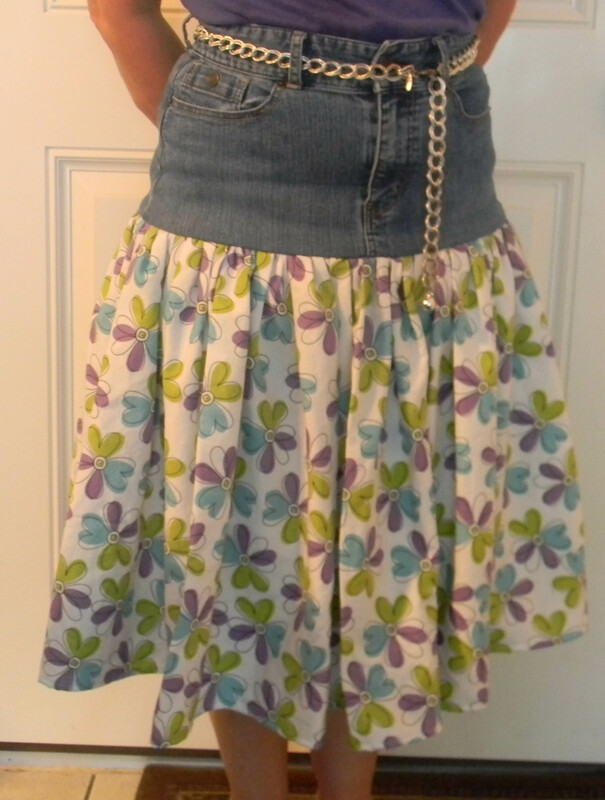 This entry was posted in Sewing and tagged repurposed, sewing, skirt. Bookmark the permalink.